Many people have problems with urinating too often during the night. It can be very annoying if it persists and can increase stress levels and lead to heightened irritability during the day when it affects sleep quality. 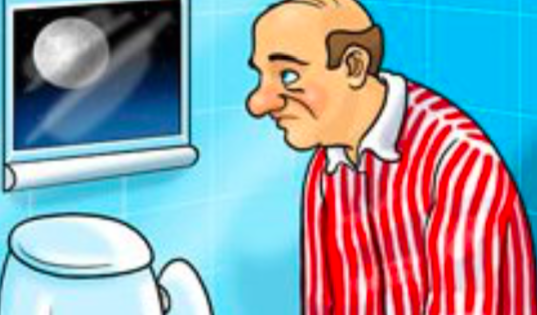 The good news is that most people can eliminate this problem, also known as Nocturia, by increasing the production of ADH (Antidiuretic Hormone) with a proper diet and supplements. Antidiuretic Hormone (ADH) or Vasopressin is a hormone produced in the adjacent hypothalamus in the brain and then stored in the pituitary gland where it is released according to need. Its primary role is to keep the amount of water in your body balanced and to balance your blood pressure either by constricting blood vessels when the blood pressure is low or increasing the amount of water reabsorbed back into the circulation from the filtrate in the kidneys. A regular amount of ADH in your body makes sure that you’re well hydrated, which results in a better mood, and better health and wellbeing. ADH production and release is very active during the night reducing the need for urination  which is why we rarely need to wake up after a few hours to visit the bathroom. ADH production also supports liver health. Lower levels of ADH is caused by one of two reasons and is known as diabetes insipidus. The reasons for low circulating ADH levels involve either a decrease in the production of ADH by the adjacent hypothalamus or a decreased release of ADH by the pituitary gland. Common symptoms include excessive urination, which is called polyuria, followed by extreme thirst, which is called polydipsia. With aging, ADH production decreases. When your body is not producing enough ADH, it will excrete too much water, which inevitably results in constant thirst and frequent toilet visits,  leading to dehydration. Firstly, plain and simple advice involves drinking less beverages after 4:00 PM, especially avoid alcohol and caffeinated beverage consumption after this time since they are diuretics, leading your body to produce more urine. When it comes to supplements, Forskolin Root Extract is known to have a significant impact on ADH release. It’s made from the root of a traditional Ayurvedic medicine plant. Besides the many positive effects it has, one of them is causing a higher release of ADH  However; you should consult with your doctor before taking this supplement as it shouldn’t be mixed with certain medications including beta-blockers, calcium channel blockers, clonidine and blood pressure lowering drugs. When it comes to your diet, salt consumption will affect how often you visit the toilet. Decreasing salt intake has been shown to have a positive effect on the frequency of urination, especially at night. Also, when using salt, aim to use natural unrefined salts that are rich in trace minerals, are not exposed to harsh chemicals and do not have plastics in them, for example, Dead Sea Salt and salt from the Colima mines of Mexico, although in low quantities. Although there are no research studies done on the consumption of raisins before bed to reduce nighttime urination, apparently for some people it really works and has excellent results. Since there is no reason not to consume raisins before bedtime, I do recommend trying. Additionally, glycine, an amino acid, is linked to an increase in ADH release. To increase the amount of glycine you consume on a plant-based diet, increase your intake of peas, beans of all sorts and legumes. You may also consider taking a glycine supplement, but this is not recommended during pregnancy or lactation, for young children, or people with kidney or liver disease. Otherwise, you may try taking a glycine supplement before bedtime 2 nights a week and see if it helps to reduce your urination wake up frequency. All in all, a healthier lifestyle with a diet low in salt and rich in legumes supplemented with Forskolin can have a significant impact on your ADH release which will have a substantial effect on your overnight urination. Vasopressin fragment, AVP-(4-8), improves long-term and short-term memory in the hole board search task. Vawter MP1, De Wied D, Van Ree JM. Neuropeptides. 1997 Oct;31(5):489-94. The arginine-vasopressin secretion profile of children with primary nocturnal enuresis. Aikawa T, Kasahara T, Uchiyama M. Eur Urol. 1998;33 Suppl 3:41-4. Forskolin: its effects on potassium-evoked release of vasopressin from the rat neurohypophysis. D. Bowman and D. B. Hope. Br J Pharmacol. 1985 May; 85(1): 197–203. Vasopressin and cortisol levels in response to glycine infusion. Hahn RG1, Stalberg HP, Gustafsson SA. Scand J Urol Nephrol. 1991;25(2):121-3.